Imagine you wake up one morning, and suddenly notice that your hands are green. As you pull off your blanket, you see that your legs are green as well. Your heart rate speeds up as you realize that your entire room has turned green too! As you walk around, you’re shocked to see that everything in your house has transformed into the color green. You make your way to work, but time and time again, everything you see has somehow turned green. As you pull up to your office, you pass by a reflection in the mirror, and you stop dead in your tracks- you’re wearing green sunglasses! While this story is fictional, it describes a deep spiritual concept: the nature of the human condition. We are all wearing conceptual and spiritual glasses, the lens through which we translate and experience the world around us. However, not all of us realize that we had, and have, the power to choose how we see the world. A scientist might see the world through the lens of science, constantly comparing everything to his scientific perception of reality. An athlete or avid sports fan might see everything through the lens of sports, somehow finding a sports analogy for every possible situation. An artist might see the world through the lens of art, perceiving everything by its form, design, and texture. Yet, the ideal is for us to wear spiritual glasses as well, to see the world through a Torah lens, and thus, to see the physical world as a reflection of a spiritual reality. As the Ramban explains in parshas Boh, we must all strive to see past the surface, recognizing nature itself as miraculous. Our very existence, the fact that we have air to breathe, and the fact that we have the ability to think and feel, are all constant miracles. These type of glasses require constant polishing, constant attention, and constant effort. We are what we think about; this is one of the deepest truths of life. Whenever you start to think about something, you’ll begin to see it appear in your life as well. Usually, you’ll begin to realize that it has been there all along. As the Torah explains by the story of Hagar, only once Hashem opened her eyes could Hagar finally see the well of water that had been there the whole time (Bireishis 21:19). In your own life, have you ever bought a new shirt, and suddenly realized that everyone has that shirt? In truth, people have always had that shirt, but in the past you’ve simply filtered this information out, since you weren’t looking for it. Now, however, you’ve begun to focus on this, and therefore, you’ve begun notice what has actually been there the whole time. This is due to the reticular activating system in our brain, a bundle of nerves which filter out all unnecessary information. It is only once you focus on something, and deem it important, that will you begin to notice it. Just think about how many times you’ve walked past your neighbor’s house. Do you remember what their front door looks like or how many windows they have? If not, it’s probably because this isn’t very important to you. The same is true for spiritual depth; only if you’re looking for it will you find it. The Underlying Question: Why Don’t People Become Great? This topic is connected to one of the most important questions in life: “Why don’t more people become great?” So many people get inspired for brief moments, but then continue living normal, average lives. What convinces us that we’re just normal and not destined for greatness? Have you ever seen someone extraordinary, whether a talmud chacham, someone will exemplary middos, or someone with an amazing marriage, and thought to yourself, “wouldn’t it be amazing if I could become great like that as well? !” You might have even begun to imagine what your life would be like if you could achieve something like this. So what happens? Why don’t we act on it? The answer is simple: We don’t have the empowering identity, the self-perception, to create a life of greatness. After all, what usually happens when we have that brief moment of inspiration, when we imagine a greater version of ourselves? A small voice (the yetzer harah…) creeps out from the back of our minds, and whispers, “Who are you kidding? What makes you think you can do that? Have you ever done something like this before?! You’re not cut out for that kind of life, you’re just normal, average!” You then reinforce your un-empowering identity, and let the inspiration fade. Yet, there is a way to prevent this from happening. If you understand the power of self-perception, of identity, then you will realize that you don’t have to repeat your past. You can begin writing a new chapter in the story of your life. As the saying goes, “History is being read, but it’s also being written, by people with imagination.” You can write the next chapter in the story of your life! The key to doing so is by understanding the power of identity. We live our identity. Or, in other words, we live our musts, our standards. Everyone has things that they want to do: we want to learn more Torah, have a deeper connection with Hashem, develop better middos, build better relationships, create financial success, and have healthier bodies; but we don’t get what we want, we get what we need. We need to eat, we need to breathe, and until we need to create all these other things, they’re going to remain on our wish list forever. The only way to change something from a want to a need is to change your identity! Only by raising your standards, and creating a growth-oriented identity, can you shift your life towards greatness. An athlete looks at himself in the mirror, and sees an athlete. This requires him to live a certain lifestyle, have a specific exercise regimen, a unique diet, and a required amount of sleep every night. A talmid chacham looks in the mirror, and sees a talmid chacham. This requires him to constantly learn Torah, grow in his avodas Hashem, and help others. We all have an identity, but not all of us chose it. Many of us were given our identities by our parents, friends, or teachers. The key to life is becoming self-aware enough to choose and create your own identity; an empowering identity which will push you to maximize your potential, and become the greatest imaginable version of you! When used in the positive sense, this can be empowering: If you think Hashem loves you, you’ll feel really close to Him, and you’ll live a life of Torah and mitzvos. If you think you’re a spiritual being, you’ll feel holy, and you’ll live a spiritual life. If you think you’re destined for greatness, you’ll feel great, and you’ll live a great life. However, when used in the negative sense, this can be un-empowering and destructive: If you think Hashem hates you, you’ll feel really distant from Him, and you’ll live a life of depression. If you think you’re a physical and lowly being, you’ll feel unholy, and you’ll live an unspiritual life. If you think you’re destined for nothing, you’ll feel insignificant, and you’ll live a meaningless life. We’ve developed the principle stating that how you think affects how you feel, which then affects how you live. The key then, to living a great life, is changing and rewiring how you think. If you can change the way you think and the way you perceive reality, as well as your place within it, then you can change your life! As the saying goes, “If you always think the way you’ve always thought, then you’ll always do what you’ve always done, and then you’ll always be who you’ve always been.” The battle ground is in your mind. If you can change your mind, and change your perceptions, then you can change your entire life! Let us take a look at our own inner paradigms, and think about the type of life we are creating for ourselves. For it is only if we acknowledge our current paradigms and perceptions that we can ever hope to change them. When things happen in your life, are they happening to you or for you? Do you believe that everything happens for a reason, or is your life a collection of random coincidences? Are your challenges and ordeals an opportunity to grow, or a reason to quit? How do we perceive Hashem Himself? Do we view Him as someone we can have a relationship with? Or someone distant, perfect, and transcendent? What about the relationships we are in? Do we view relationships as a means to take and receive pleasure? Or an opportunity to give ourselves completely to someone else, to expand beyond the limited borders of our individual self, to experience true oneness. Perhaps most importantly though, how do we perceive ourselves? Do we view ourselves as unique, special, and destined for greatness? Or, are we just another average citizen, trying to get by and survive? Is greatness is something elusive, reserved only for the few gifted among us? Or is it in fact something real, within reach, and something which each of us can achieve? This is the deep truth about perception; you get to choose how you see the world, how you experience your life. Your paradigms can empower you, or cripple you. Your world view can inspire, or paralyze. The choice is solely yours. That is the beauty and pitfall, the tragedy of perception. So let us utilize this skillset and build deeper and more empowering perceptions. This is one of the goals of learning Torah: to change your mind and to help you see the world through a spiritual lens; to help you live Torah. In a nutshell, learning Torah is about learning what Hashem wants, Tefilla is about wanting what Hashem wants, and performing mitzvos are about living what Hashem wants. This series will be about creating deeper perceptions of reality, and learning to see the world through a Torah lens, a spiritual lens. This is also why this series is called “Think. Feel. Grow.”, it reflects the three stages we just talked about: The way you think affects the way you feel, which will then hopefully help you grow, and live a greater life. I look forward to embarking on this journey of growth with you, and building a deeper perception of Hashem, ourselves, and the world we live in. Shmuel Reichman is an inspirational speaker and has spoken internationally at shuls, conferences, and Jewish communities. You can find more inspirational shiurim, videos, and articles from Shmuel on Facebook and Yutorah.org. For all questions, thoughts, or bookings, please email shmuelreichman678@gmail.com. Everything is green. Dare I thought I was in to ’70s. Carter exempt good ecology. Oil. 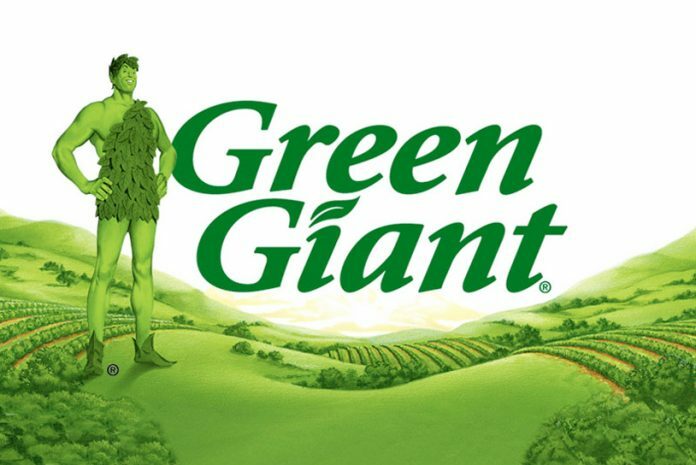 Green Giant only has an OU, not a heimishe hechsher (gasp!). We don’t want our hechsherim fanatics to go crazy.